During the long journey from the ice edge to its coastal breeding colony, this Adelie penguin has stopped to perform an 'ecstatic dance'. 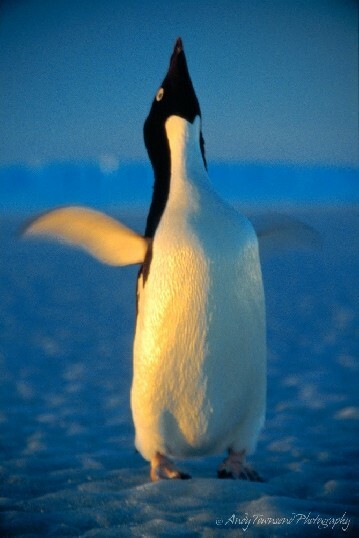 Typically executed at the nest, this dance is displayed by male penguins to mark their territory and to attract females for the breeding season. During this dance, the birds move their flippers slowly and extend their head toward the sky while vocalising with a 'braying' sound.